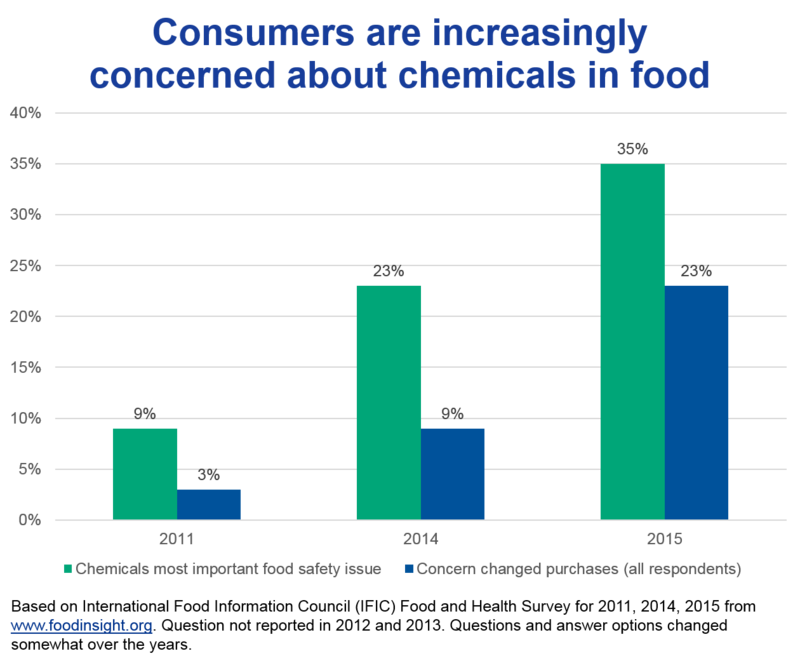 EDF strives to make safer food available by partnering with companies to reduce and eliminate potentially unsafe chemical food additives and supporting efforts to fix a broken regulatory system. For many years this blog has focused on the safety of chemicals and nanomaterials used in industrial and consumer products. Most of these substances are regulated federally by the Environmental Protection Agency (EPA) under the Toxic Substances Control Act (TSCA). But we also encounter chemicals in other ways, including those present in or added to food. Such chemicals are regulated under a different law, the Federal Food, Drug and Cosmetics Act (FFDCA), administered by the Food and Drug Administration (FDA). 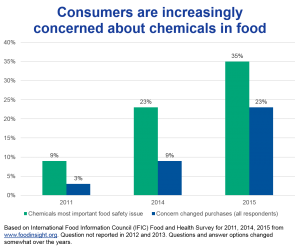 This blog introduces EDF’s “Safer Food Additives” initiative to get unsafe and questionable chemicals out of our food by using dual levers of change—corporate leadersh ip and public policy. Making our food trustworthy demands leadership in both the private sector and the FDA. The food market is changing rapidly as manufacturers work to keep up with consumer concerns about what’s in our food. And it’s not just about added sugar, salt and trans fats, or whether the food was grown locally or with or without pesticides. Public campaigns increasingly put the spotlight on many chemicals commonly used in food and food packaging—food additives—with growing scientific evidence questioning the safety of their use.